In addition to the dressing I wrote about earlier, our other traditional food for holiday meals I sweet potato casserole. This is so good it might even be a desert. Sweet potatoes, marshmallows, butter brown sugar and cinnamon are all that is required to put this completely Southern dish on your table. First drain the yams very well. Then put them in a mixing bowl and mash by hand with a potato masher. Next cube the ½ stick of butter and spread around evenly. Mash again to combine. Next add ¼ to ½ of the bag of marshmallows. My kids like more, I then to like less, so add to your taste. Mash again to combine. Sprinkle cinnamon in to taste and mix. This is your last chance to get the lumps out. 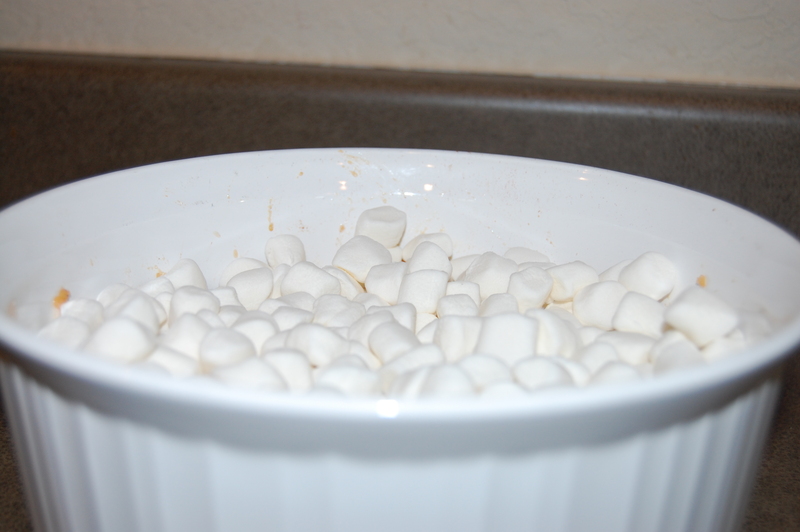 Spread into a casserole dish and spread the remaining ½ bag of marshmallows on top. Bake in a 375 degree oven until the marshmallows brown. I cannot say this is the healthiest of dishes, but it simply would not be Thanksgiving or Christmas around or family without this special dish. This is another recipe that was finally written down when my wife and I had kids and my mom decided we needed to always have this for her grandchildren on those holidays when we were not with her.